Welcome to newsletter #3! Thai designs have continued to showcase their creativity around the globe. On MyThaiDesign.com find coverage from worldwide events such as Milan’s Salone Internazionale del Mobile and Fuorisalone, New York’s International Contemporary Furniture Fair, and more! All of these topics mentioned are featured on our informative web portal. Click on the links to below to learn more about them, see a collection of images, watch some videos, and listen to some interviews. A selection of Thai companies was showing at this year’s International Contemporary Furniture Fair in New York City. Jason Phillips from the Phillips Collection talks about a special console table from Thailand. 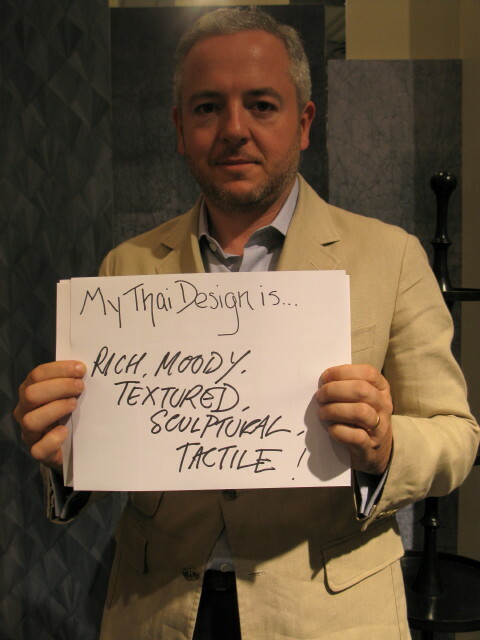 Mark Phillips from the Phillips Collection talks about their latest Thai designs. PADTHAI is a team of Thailand’s emerging creative designers living in Italy. 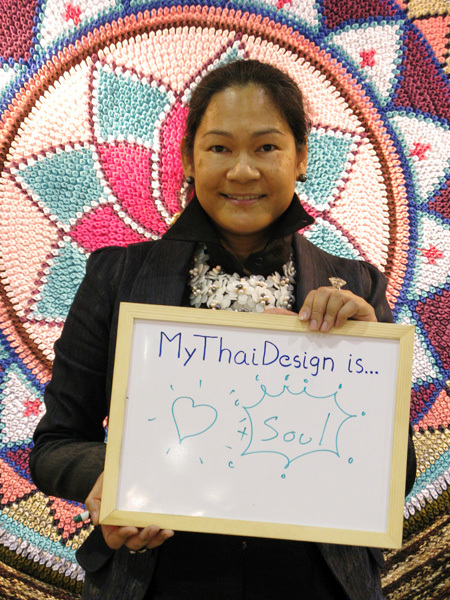 The Thai design stands at the Salone Internazionale del Mobile were very busy during Milan Design Week! Regardless of the rumors flying around, speculating the cancellation or postponement of the event, the Bangkok International Gift Fair and Bangkok International Houseware Fair opened its doors on the morning of April 20, 2010. The Trendease Team is always traveling around the world to find the latest inspirations and designs. For this episode of Trendease DesignVision we stop in Thailand, where we uncover more than wood and traditional design; it is a plethora of materials and innovations! Here leading-edge designers and industry personalities are interviewed and we discover unique upholstery, decorative accessories, lighting, and furniture, all cleverly made with diverse resources.